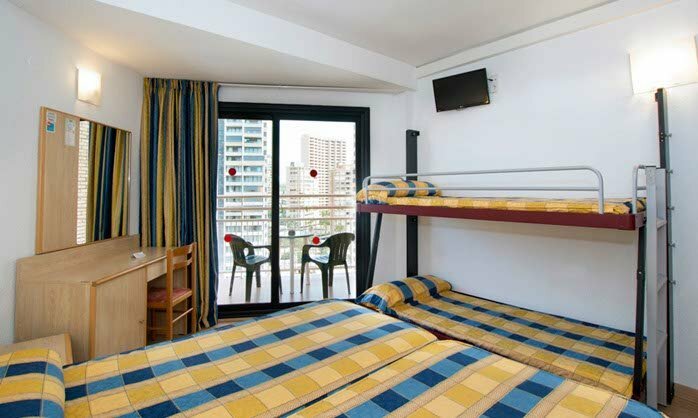 The Hotel Rio Park is located in the centre of Benidorm, a tourist resort city where the main attraction is fun for all ages and walks of life. The Hotel Rio Park is centrally located in town and only a few minutes from the sunny beach. 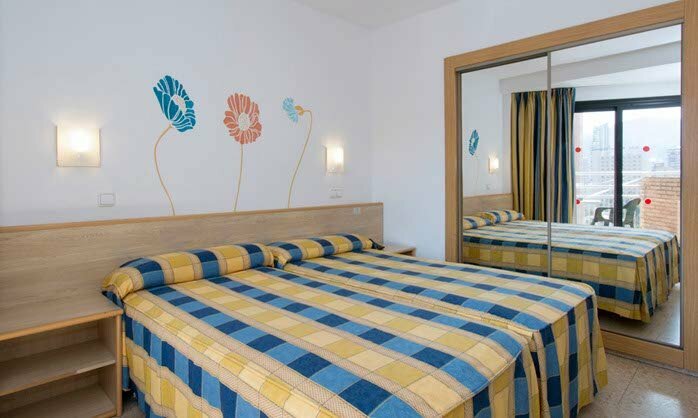 The hotel has double rooms, family rooms and single rooms. One of this hotel’s main assets is the personal and friendly staff and service that are popular amongst our guests who return year after year. You will be guaranteed an action-packed holiday that you will never forget. The clean, golden sand beaches of Benidorm, the warm climate, the horizon and the wide city avenues all create a fantastic destination for your action-packed or relaxing vacation, whether you are looking for an active nightlife or relaxing days at the beach. All with full bathroom, air conditioning, heating, cable and satellite television, and optional safe deposit box. The Hotel Rio Park has double rooms all with full bathroom,twin beds, balcony, air conditioning, heating, cable and satellite television, and optional safe deposit box. The Hotel Rio Park has double/twin rooms with bunkbeds all with full bathroom, balcony, air conditioning, heating, cable and satellite television, and optional safe deposit box. Take exit 65A from the AP7 Highway (Benidorm Levante). The main road will take you to the centre of Benidorm. 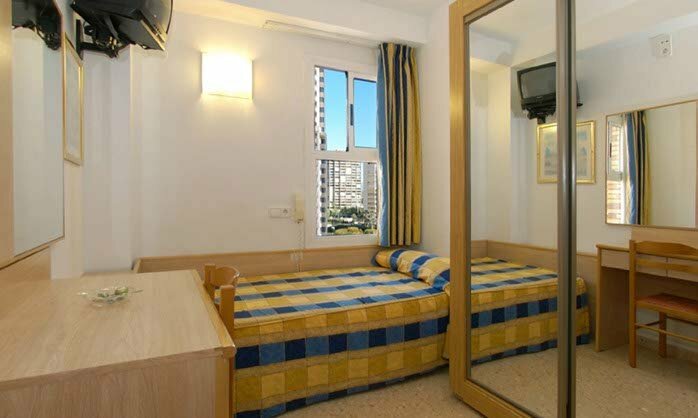 • In the centre of Benidorm, 750 metres from the beach. • Staff popular with guests. • No parking available at hotel. • Possibility of parking on surrounding streets, except in summer. • Electric wheelchairs are welcome (only in reserved spaces). • Wheelchair service available at reception. • Luggage storage room at reception. Our dining room offers a buffet-style service. You will find a wide variety of Mediterranean and continental dishes to choose from. During the summer we open the poolside snack bar, and have special theme days with barbecues and paella. There is also a gala buffet every week. • Heating / air conditioning. • Check-in time: 02:00 p.m.
• Check-out time: 12:00 p.m.
• Opening hours: 9:00a.m. – 7:00p.m. ping pong, skill games, water polo championships. • Evening entertainment offers a wide variety of shows, singers, musical tributes, acrobats, magicians, comedians, etc.